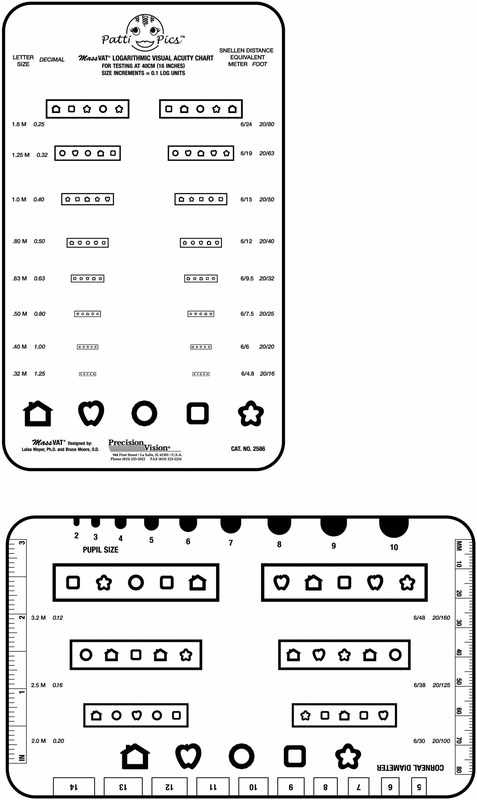 Front and back sides are 10% low Contrast. 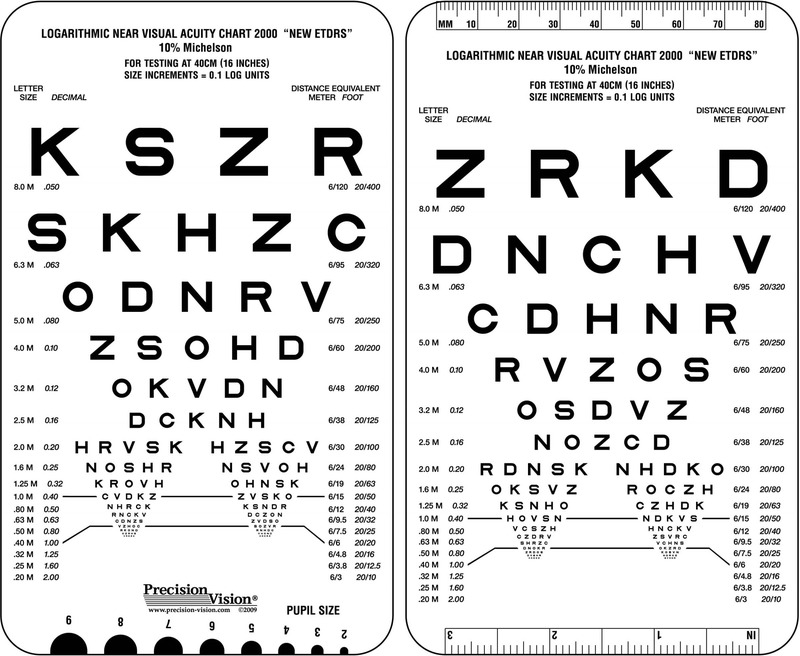 Different optotype configurations on each side to reduce memorization. 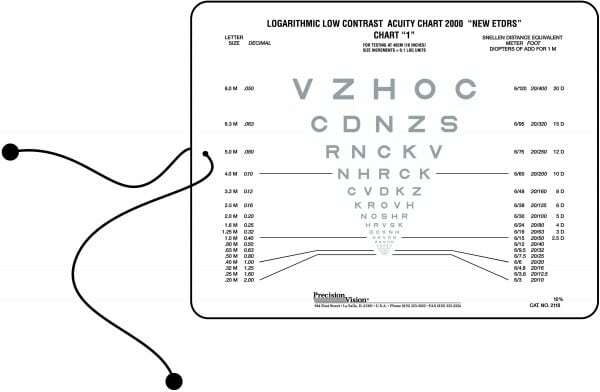 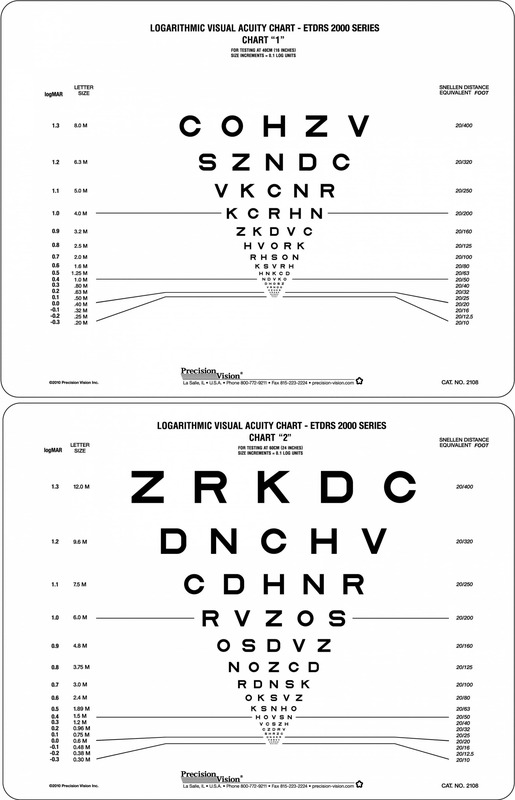 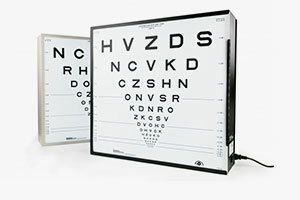 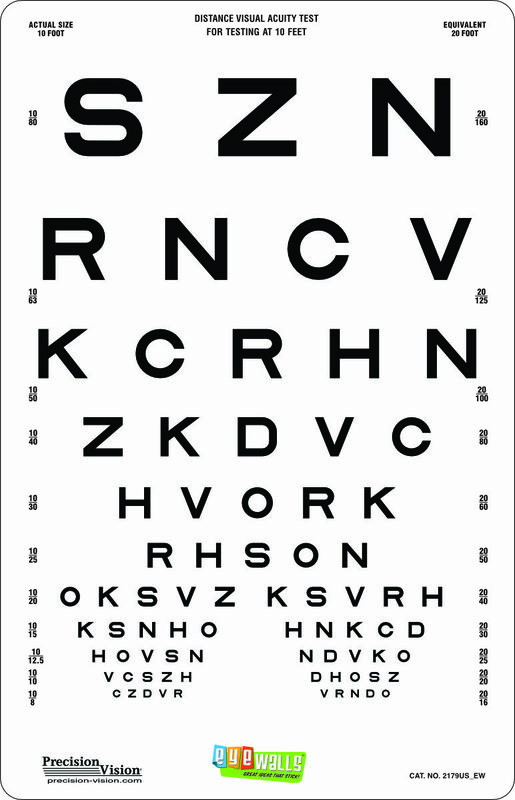 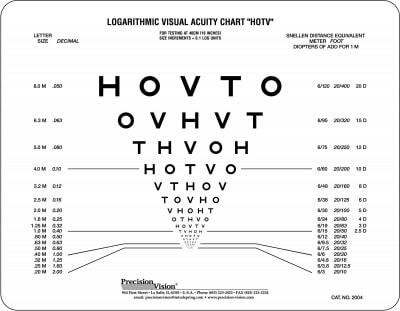 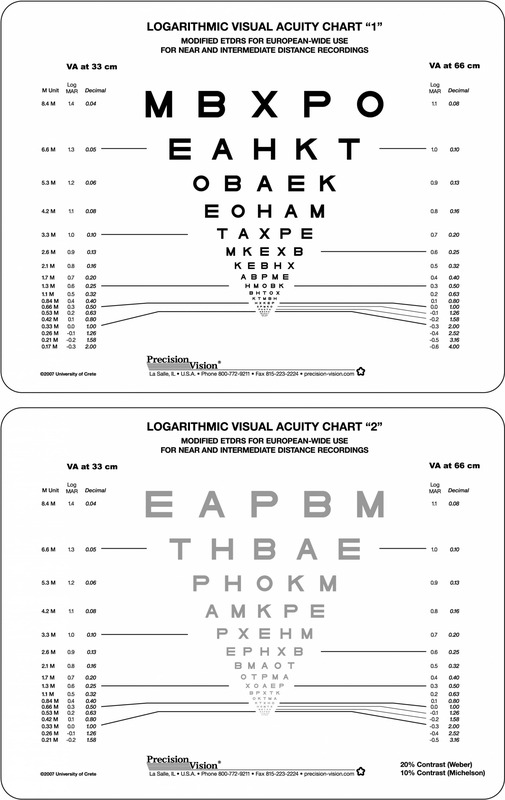 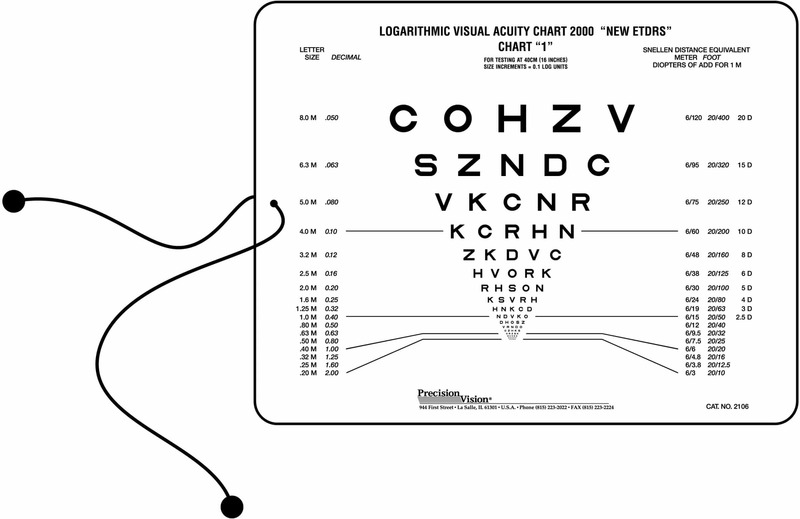 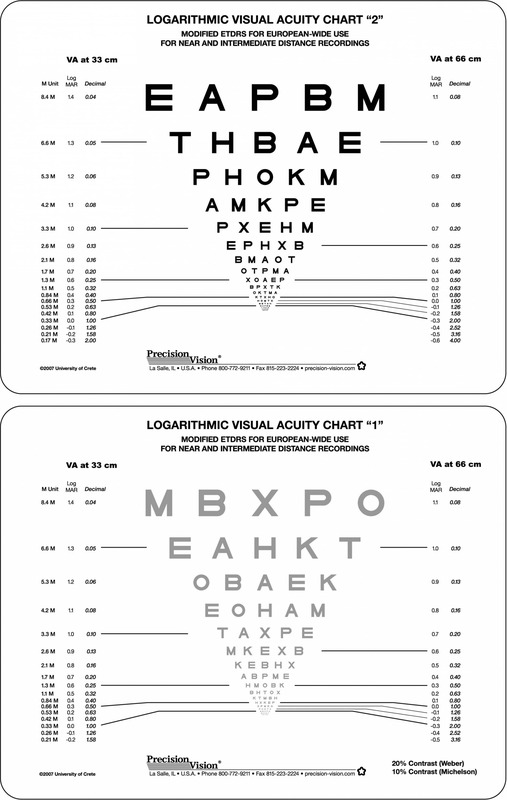 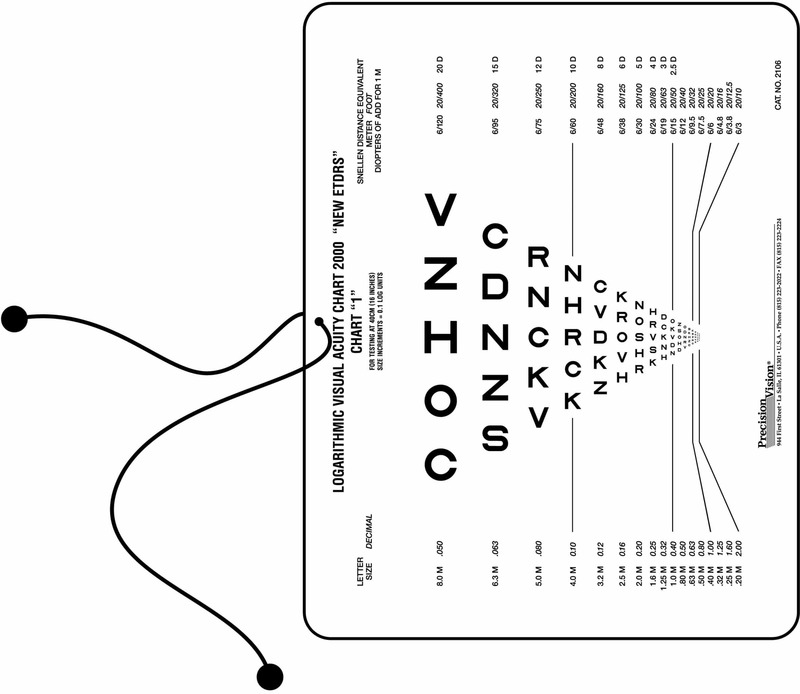 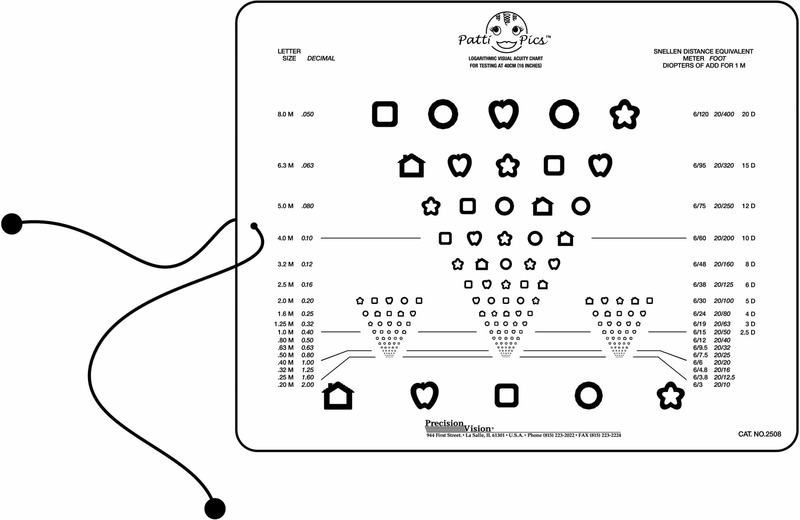 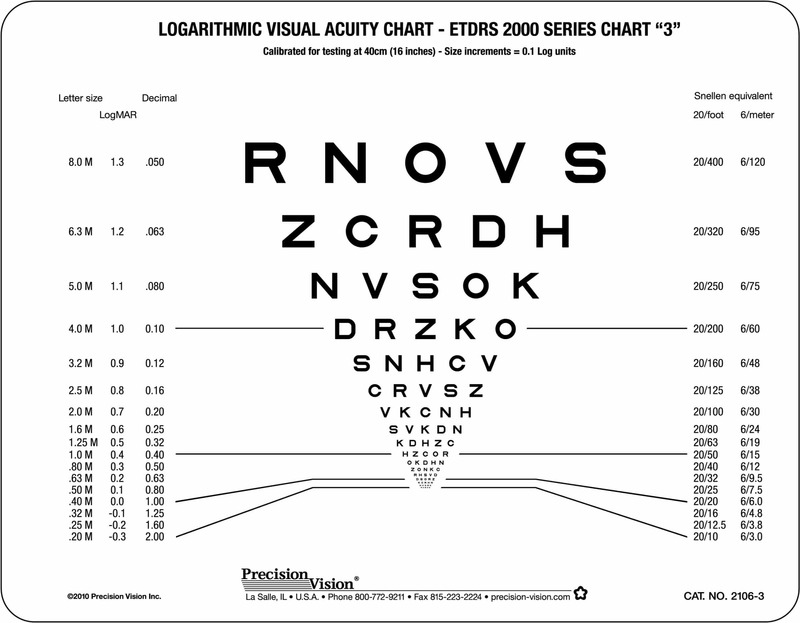 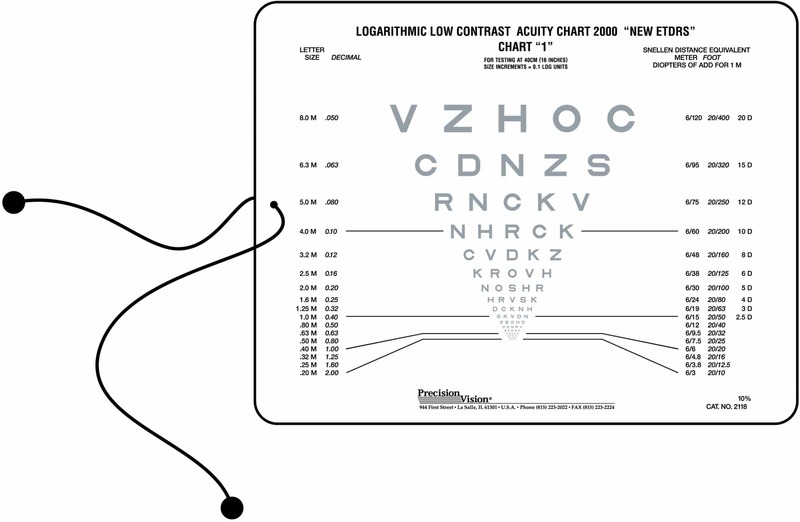 Near vision chart uses 10% calibrated contrast sensitivity levels on each side of the test. 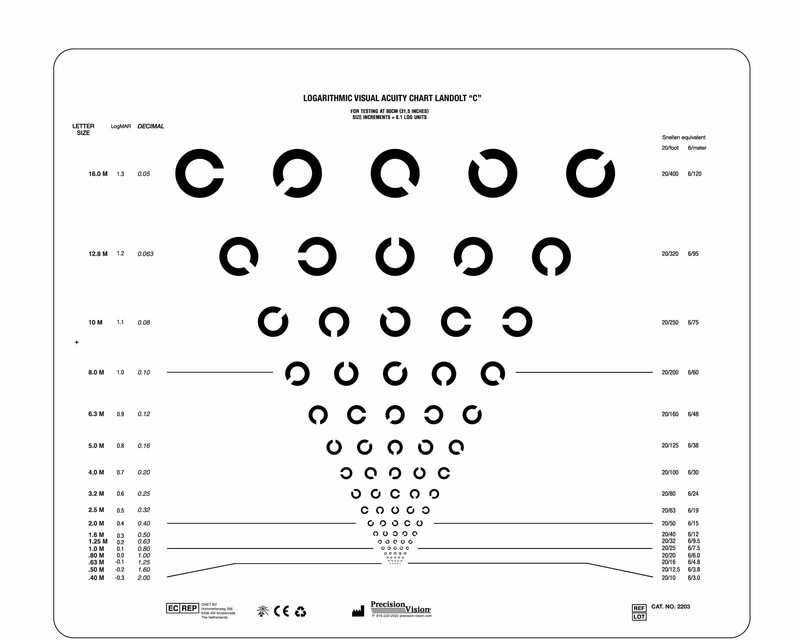 Also, chart uses two different configurations of optotypes to minimize memorization. 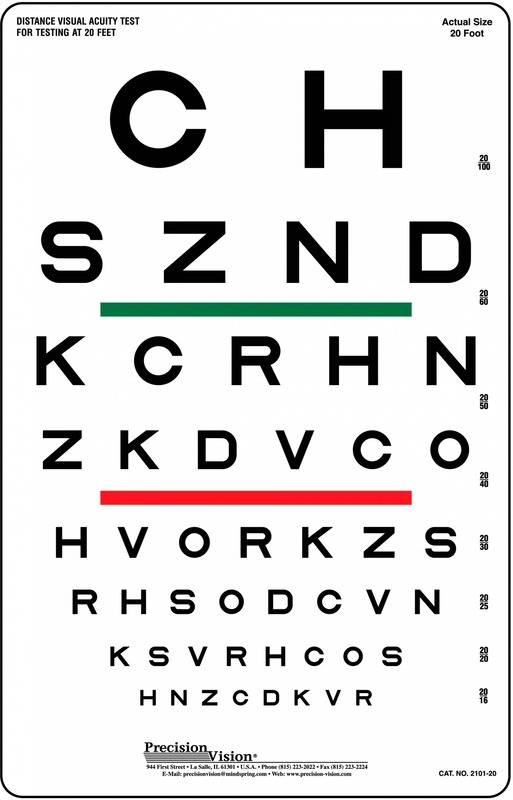 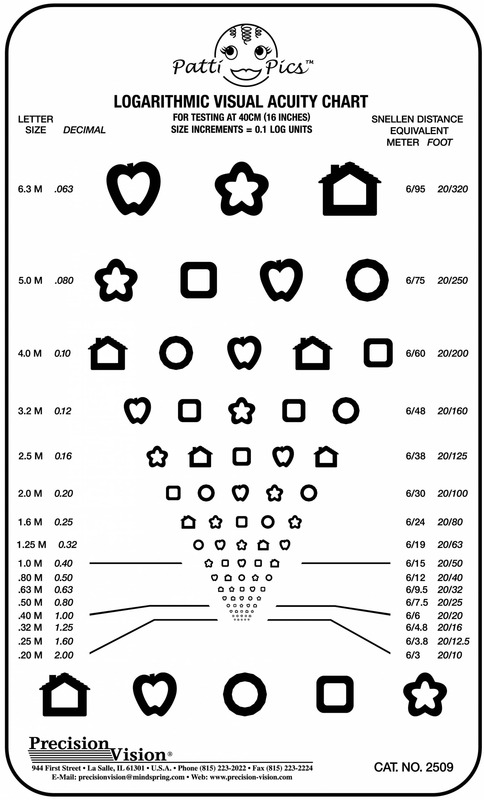 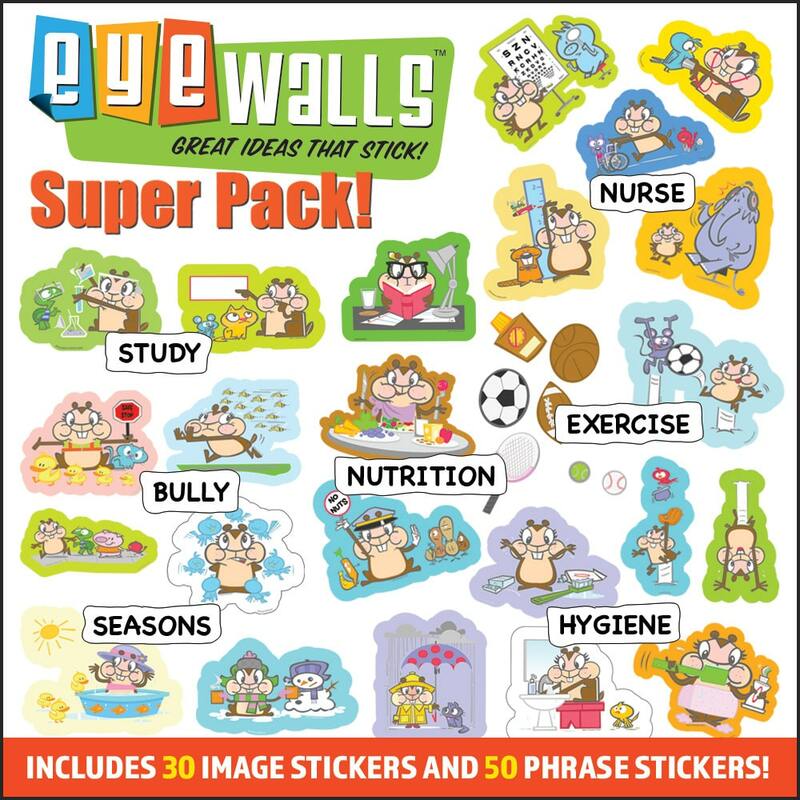 This helps in more accurate vision test results. 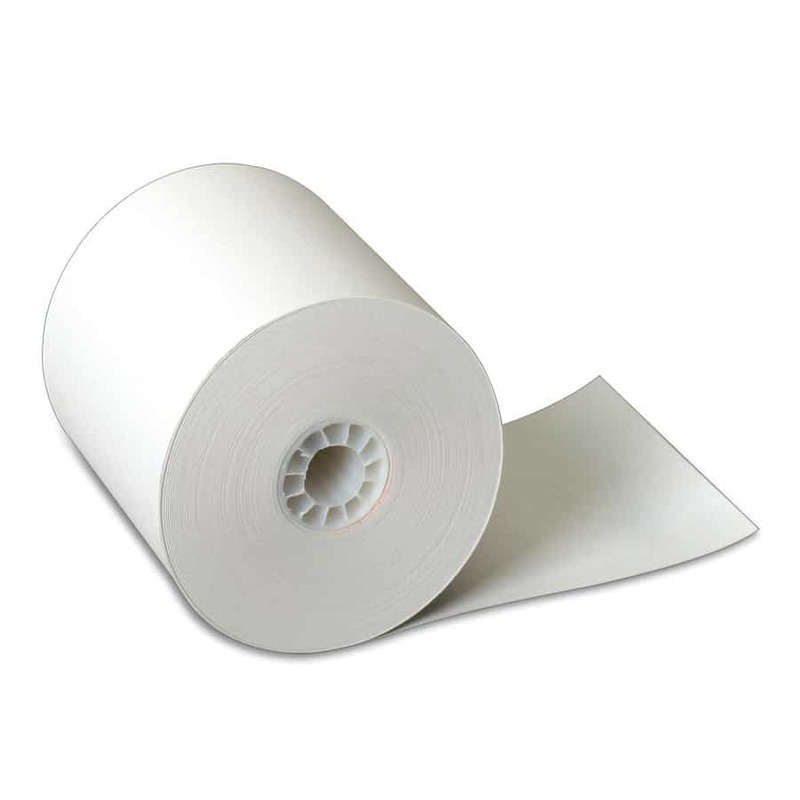 Near point chart also includes a cord to help control viewing distances for more precise testing. 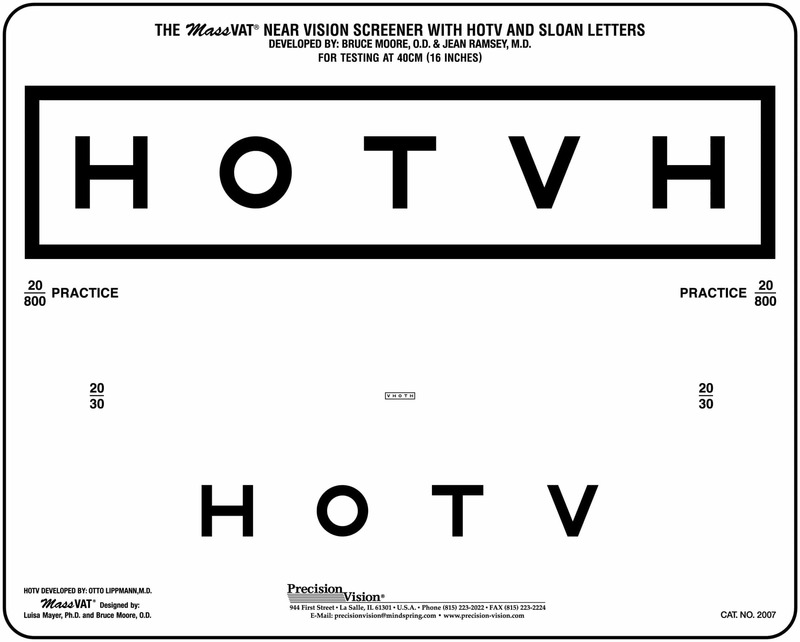 Scrambled Version of this chart available for avoiding memorization during repeated testing. 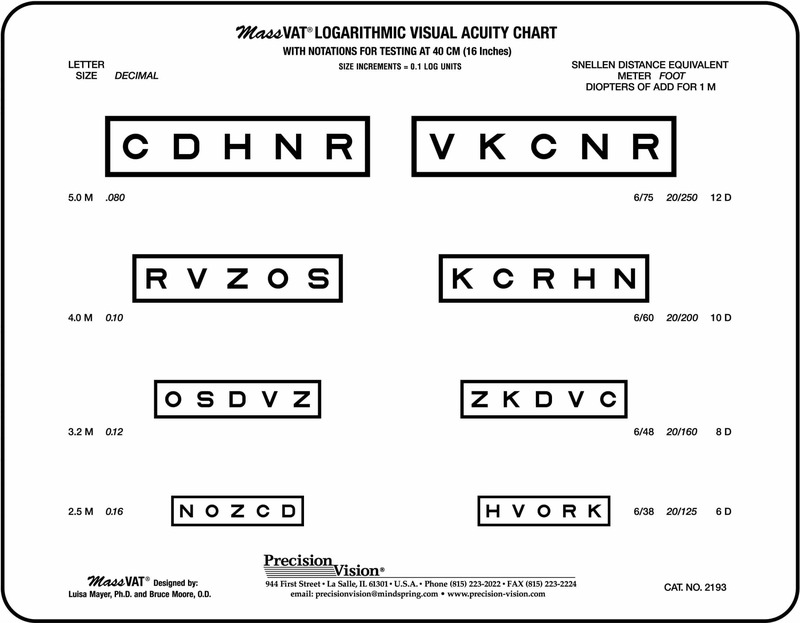 Order Item# 2118A.